We take this pleasure of introducing our self as one of the leading company in manufacturing primary packaging for pharmaceutical industries. We have under one roof facilities for manufacturing Dropper Assembly, Pharmaceutical Plastic Test Tubes, Pharmaceutical Bottles, Pharmaceutical Caps, Rubber Teats, Pharmaceutical Container, Pharmaceutical Plastic Spoons, Pharmaceutical Measuring Cup, Rubber Stoppers and HDPE Bottle. These products are widely appreciated for their durable life, complete safety, bacteria free & hygienic nature and high strength. We manufacture Rubber Stopper/Rubber Teats/dropper assembly in various color & size. Further, we take this pleasure of informing you that our study progress through basic research and new developments has brought us closure to the pharma world by providing customized value-based solution designed to meet your specific needs. 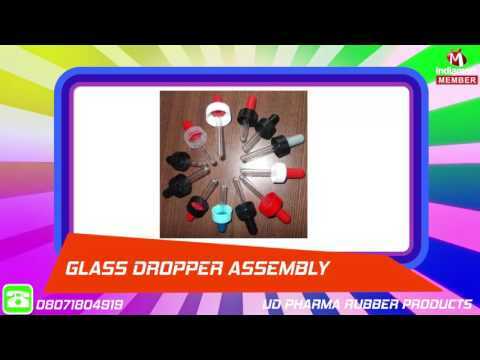 UD Pharma Rubber Products is a company which is always looking for the new development by changing itself according to the modern time with our most modern manufacturing activities.